My two daughters are adults now, but they learned their skeptic lessons well. Skepticism and critical thinking should be part of the education of all children, but I always felt the best way to teach skepticism was to just make it part of everyday life. Each day brings so many opportunities for parents to educate their children. I know our family loves laughing together at any paranormal investigation show, knowing full well at the end there will not be definitive proof of ghost/Bigfoot/aliens/lake monster/Elvis. However, one of the best opportunities for education has to be shopping. The pharmacy is filled with homeopathic medications and even copies of woo books of “home cures”. The food store is also a good place to point out and discuss dubious claims and potential scams. One of my favorite lessons was for the girls to pick out bottled water with names such as “Fiji” on the front and read the label to see where the water was from. (answer now updated, it is indeed from Fiji I have been informed! When we looked years ago, it was very confusing. I asked a daughter for a memory check and she was “If I remember it was bottled here, but tap water from Fiji”. So as a skeptic I apologize for not getting it right! Sadly, we are importing water via who knows what method from Fiji to the US, a country with a wonderful safe water supply. This is a first world problem that is very sad. I offer an apology to Fiji water that has more than just a homeopathic hint of Fiji in it! But please for the sake of sanity, if you must buy bottled water, how about something local?) Most bottle water comes out of a tap, convenient if you are too lazy to clean and fill your own water bottle, but that water did not come from an exotic vacation destination, unless it’s Fiji. In which case it came from Fiji via a container ship, and you have some rather old drinking water! Sorry for my mistake! And thank you to everyone for alerting me! 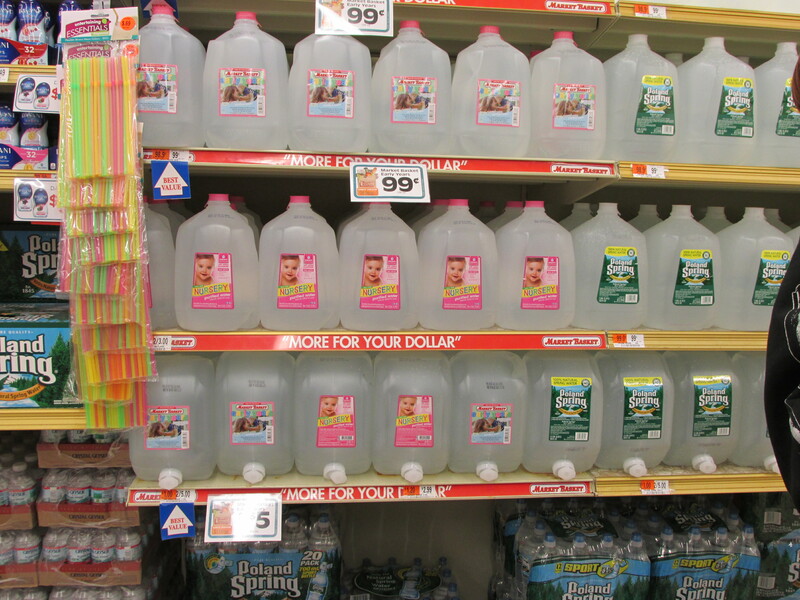 I was happy when shopping with my adult daughter Aynsley to find she still enjoys the woo of the water aisle. She pointed out to me that there is now water just for babies. She of course had to go over and read the label. It is a very colorful label, and there is some fluoride, which could be important for teeth if your water is not fluoridated. 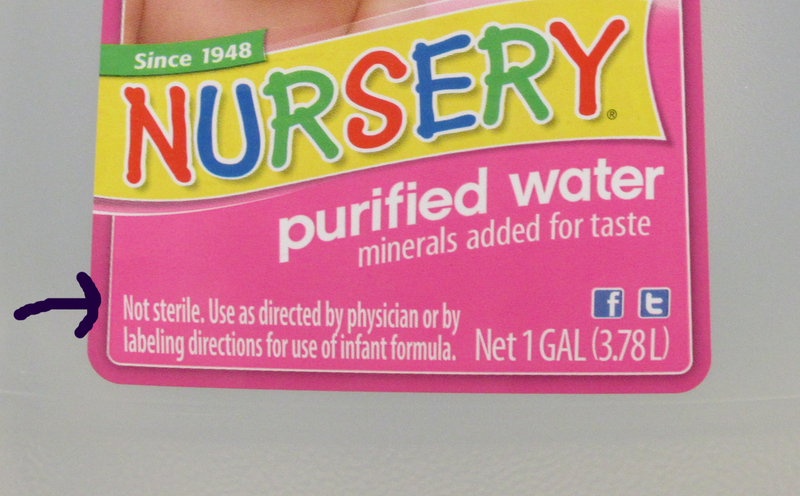 However, the label seems to indicate that this water is better for your baby than the other bottled waters nearby. It’s also a bit more money, but remember, your baby is worth it! Aynsley then pointed to a sign over head and we both burst out laughing. 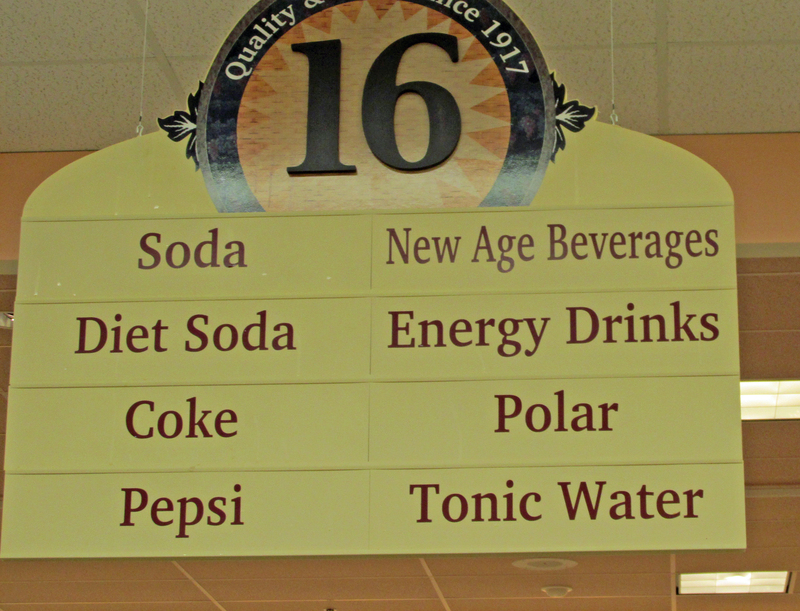 “New Age Beverages”? 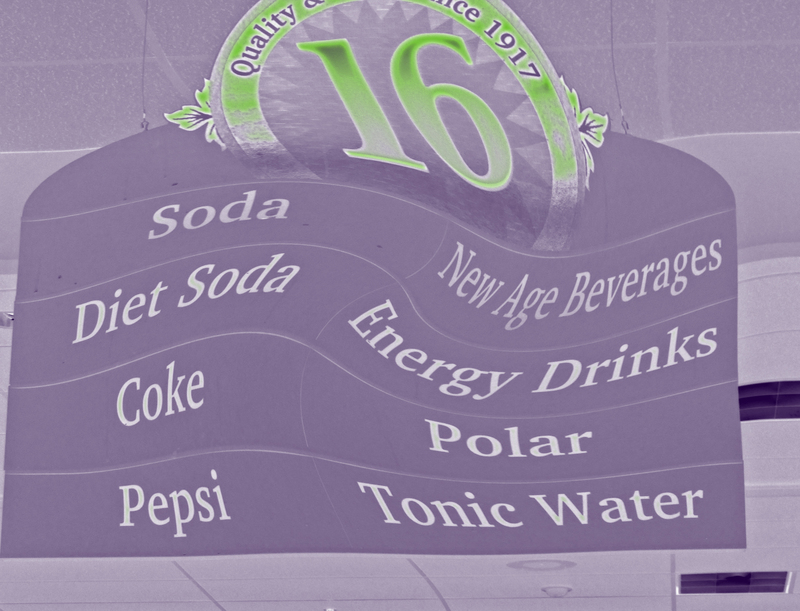 We couldn’t even imagine what how a “new age” beverage could be any different than a regular beverage. We found “new age” beverages are quite expensive and have very pretty labels, but probably will not do anything more but quench your thirst. I’m glad both my children, now adults, still enjoy the woo to be found all around us. It means if they ever chose to have children, they will continue to educate their children. Also, why wait to have kids? I know that simple tricks like “Hey let’s read where this Fiji water really is from?” with your friends or non skeptic relatives is not only fun, but a good conversation starter. Keeping it light can be the start of a true critical thinking education. « Bigfoot Art? Culture could be the next “proof”? That’s funny, the label on my bottle of Fiji branded water, sitting right in front of me, does list the source as the Fiji Islands.